Dominica is warming up to celebrate its 36th birthday; and more than 50,000, practically the whole population, have been invited to sing, dance, dress-up and be merry. "We can all celebrate our ability and success in advancing the development of the agenda of this beloved country," said Justina Charles, the Minister of Culture, Youth and Sports at the official opening. The month-long celebration under the theme: Our Nation, Our Responsibility, officially began at the Windsor Park Stadium Forecourt on Friday, September 26, 2014. Charles said the independence theme is very appropriate as it reminds us of our own role, our duty, our responsibility as individuals, as family and as citizens of our nation. 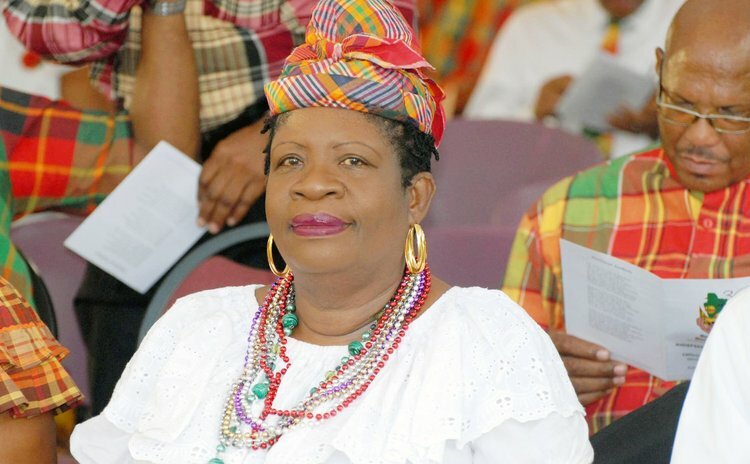 "It speaks of our responsibility each and every one of us to take care of our beloved country, to play our part in our own way, to build our lovely Dominica; the theme urges us to be good and responsible citizens; we have a responsibility, for example, to protect our environment to ensure that generations to come will enjoy the natural attributes to our Nature Isle," she said. "We have a responsibility to address the social ills that threaten to destroy the fabric of society; as God fearing citizens we consider it an obligation to care for the vulnerable, those at risk and the needy among us." Meanwhile, Minister of Social Services, Gloria Shillingford said that "every patriotic Dominican who has toiled over these 36 years to assist in bringing this country to the level of development at which it is today ought to be justifiably proud." "I trust that every other Dominican will be able to look back at what he or she has done for this country and find reasons to be proud also for, whether at leadership level or other, no matter who you are, there is a role for everyone in national development," said Shillingford. Acting Prime Minister Ambrose George called on citizens to participate fully in all independence activities especially the youth "whether it is in the national dress, traditional dances…playing the role in the celebrations this year. Owners of businesses, George said, can innovate by doing "something different this year, some extra lighting at the business places, showcasing the colours of our flag, decorating the business houses…in particular within the city." The opening ceremony ended with performances by Ophelia, (Dominica's Lady of Song), Tradibelle, Paix Bouche Drummers and Petite Savanne and Karina cultural groups. Michele Henderson performed "Celebrating CARICOM", her winning CARICOM song. Actually, the celebration of Dominica's 36th year of independence began on Saturday 20th September, 2014 with the "National Day of Prayer and Thanksgiving." And this week there are events such as the Titiwi Festival at Layou and Cultural Semifinal competitions in the Eastern and Northeast districts. The National Rally for Older Persons was held at the Windsor Park this morning. On 3 November 1978, Dominica achieved independence as a republic within the Commonwealth, and took the name of Commonwealth of Dominica. Patrick John became the country's first Prime Minister, and Frederick Degazon the non-executive President.